Every now and again you come across a show that feels like a hug, and Flabbergast Theatre’s Tatterdemalion is precisely the antidote to having to leave the house on a cold January Sunday evening. 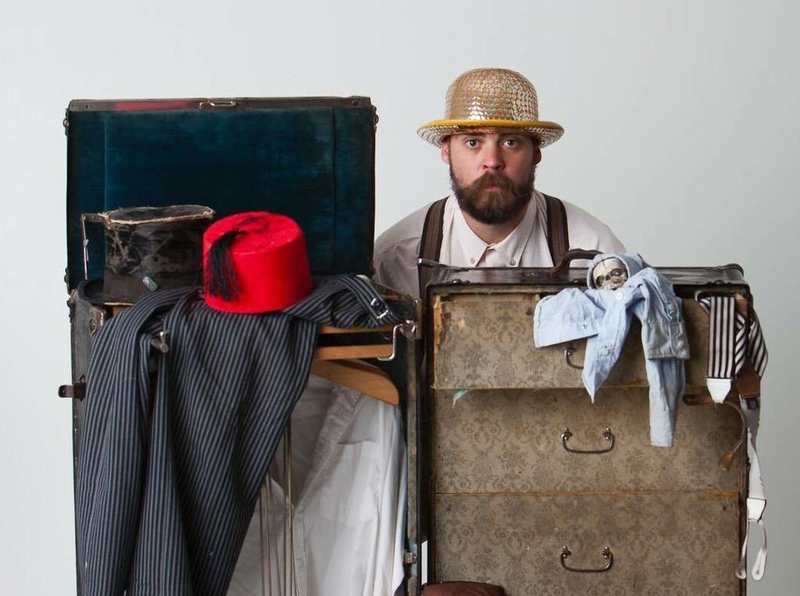 Born from the minds of the Boris & Sergey team, it’s a series of unconnected sketches mashing puppetry, comedy and a hint of magic, all circling a single performer (Henry Maynard) and his mysterious trunk. Utilising the playfulness and willingness of the audience from the outset, it courts a sense of gentle unpredictability – one man called on stage to help Maynard comically fail to put on his own shoes winds up married and rocking an invisible baby awkwardly in his arms. It is precisely this warmth and readiness of the audience to roll with the punches that makes Tatterdemalion so lovely – probably equally attributable to Maynard’s skill in putting people at ease and the benefit of having other artists in the house. Audience interaction when some of those present are actors and you are encouraging a level of independent thought does lead to a generous spontaneity of sorts; indeed, sometimes people need reigning in a little when they start going around resurrecting the dead. For the less adventurous, it’s exactly the sort of show where you may find out that you were simply born to be a horse, or make car noises, or officiate at weddings. Maynard’s own Mr. Bean-like antics are so endearing, so innocent, so affable, that they almost catapult you back to childhood. The games are simple; cars, animals, being embarrassed about owning a teddy bear. He sticks with the familiar and the universal. At one point, a great chunk of the audience are tugged on stage to create an imaginary tube carriage and largely left to their own devices – it’s such a joy to see those a little more uncertain about the whole business openly embrace the process, paying the conductor with shrugs and flowers. Even days later, I still hear Maynard’s “chguh chguh, chguh chguh” whenever I commute. Darker solo sequences are interspersed, and they realise a stark sort of beauty and a fearsome loneliness, particularly as a man stands quite by himself at a reception desk all day. Waiting for someone. Anyone? Though a beautiful, bite size slice of absurdity, Tatterdemalion is also a reminder that comedy might never be too far from loneliness, and a stage always empty unless there is someone in front of it.